Yes, you can actually thank Winnebago for building the first 4Runner. Toyota’s rise to prominence in the US wasn’t a battle the automaker won easily. It took a variety of factors, from an oil crisis that caught domestic manufacturers off guard to a reputation for iron-clad reliability that was near impossible for any other automotive world power to replicate. By the 1980s, Toyota was entrenched in the US market, but it kept the onslaught coming with cars like the well-rounded entry-level Corolla and its famously impenetrable trucks. One particular Toyota truck fan and dealership owner, Jack Safro, is the man to credit with bringing the 4Runner to life. His love for Toyota trucks was strained each winter when the Wisconsin car dealer had to chose between the bitter cold of his Toyota pickup or the warm comfort of an enclosed imposter. Not satisfied with his limited options, Safro knocked on Winnebago’s door to see if the company could cover up the rear of his Toyota trucks and turn it into an SUV of sorts to provide a more comfortable way for him to enjoy his favorite vehicle in the winter. Winnebago complied and so did Toyota, sending over a few barebones Hilux models for Winnebago to outfit. Out of that came the Toyota Trekker, an enclosed rear seat-equipped lovechild of the Japanese automaker and the American mobile home manufacturer. 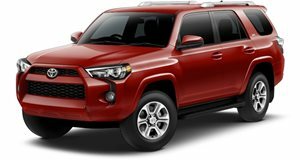 Once Toyota realized what a hit the idea was, the 4Runner was released and the rest, as they say, is history. At 10 years old, this SUV has its shortcomings but it'll never let you down.